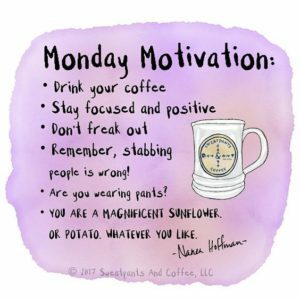 Monday Quotes To Start Your Week Happy! 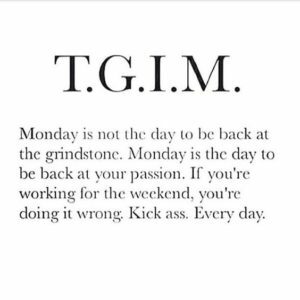 Everyone needs a little Monday motivation. 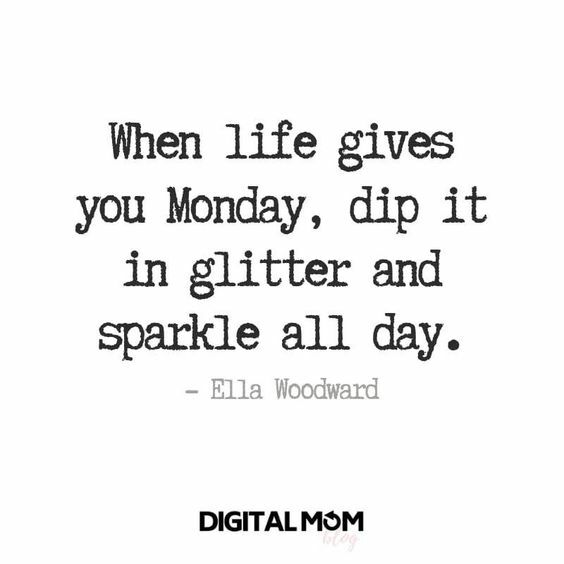 Mondays are not always naturally the happiest of days. 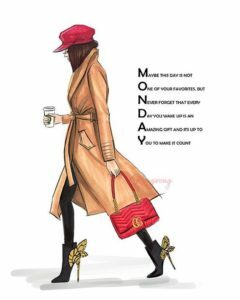 But, there is no reason why they can’t turn into the best days of the week for you. 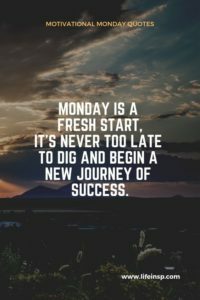 With these Monday motivation quotes, you will feel inspired to make your Mondays productive, positive, and your new favorite day of the week. 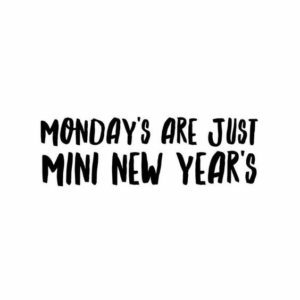 Well, maybe besides Saturdays. 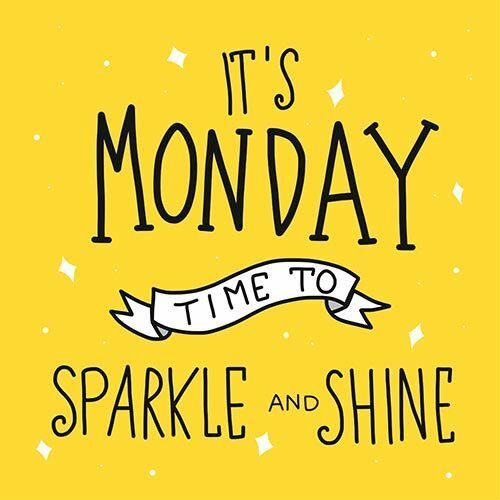 Everything is better with glitter! 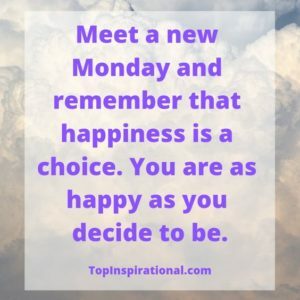 So, why should Mondays be any different? 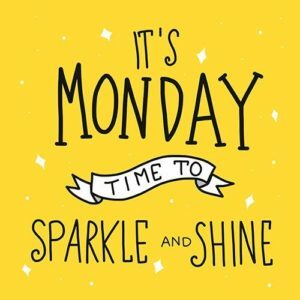 Put a positive new perspective on your Mondays and learn how to walk through your day sparkling! 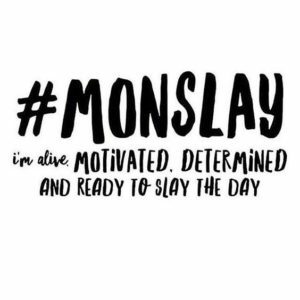 Monslay is the new verb, so don’t wear it out! 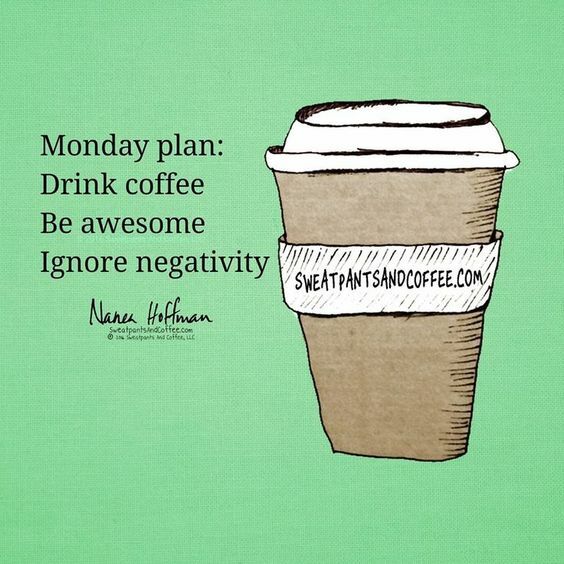 It’s the new way to survive your Monday. 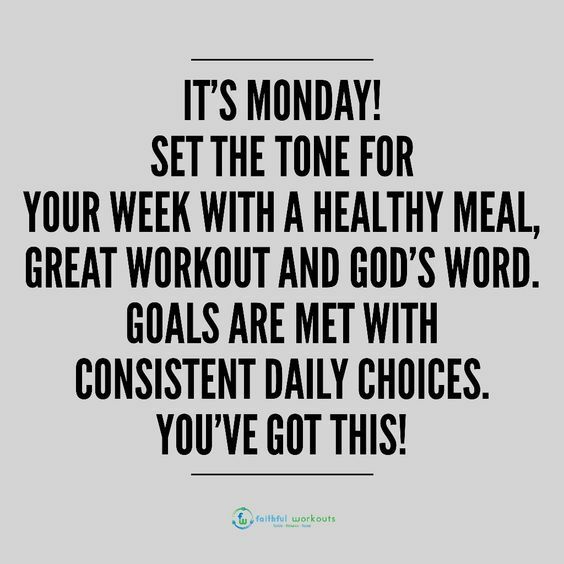 All you have to do is be motivated and determined to crush your weekly goals! You’ve got this, girl! 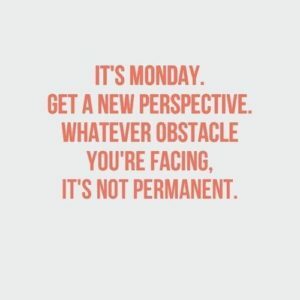 Mondays may seem like a drag sometimes, but try to put a whole new perspective on it! 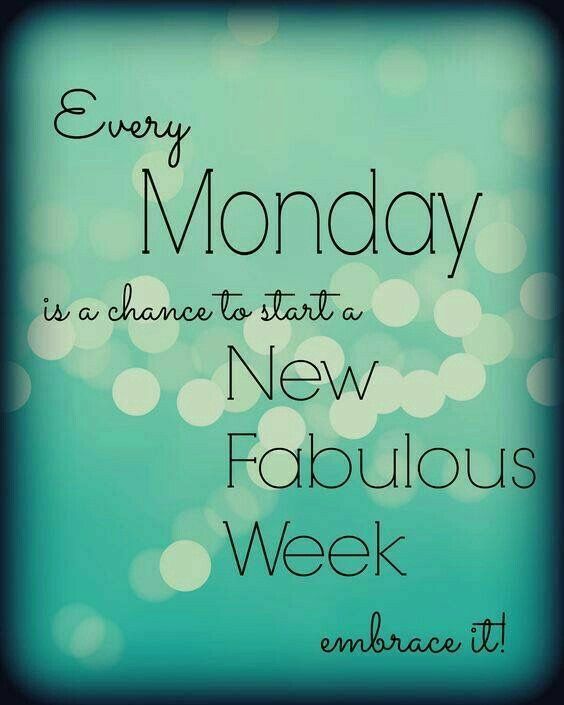 Every single day is a blessing, so make your Monday productive and make it count and you will be a whole lot happier. 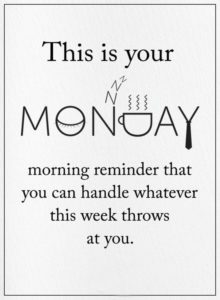 The biggest way to make it through a Monday is to stay positive, even when it’s crazy and you think you are losing your mind. 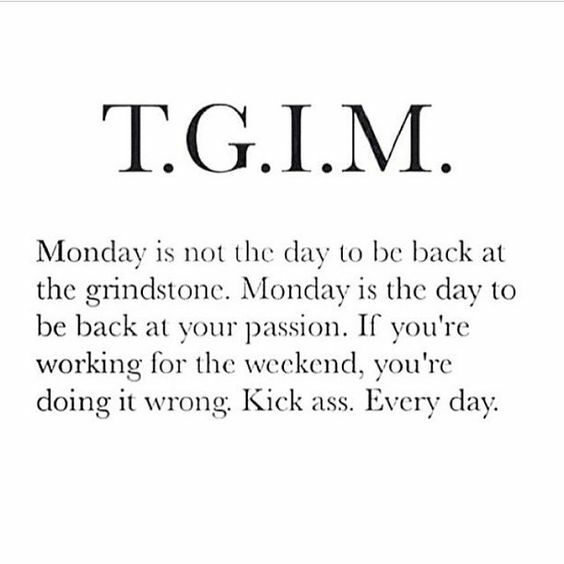 Remember, you don’t have to do every single thing today, you still have more hours in your work week. 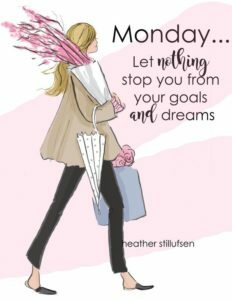 By being productive on a Monday and really staying determined throughout the day to meet your goals, there is a possibility that you will change your life. 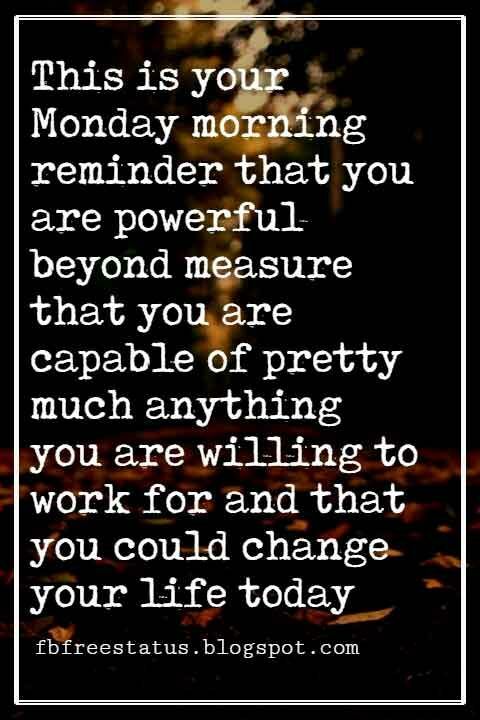 Be grateful for your Mondays and use them wisely. 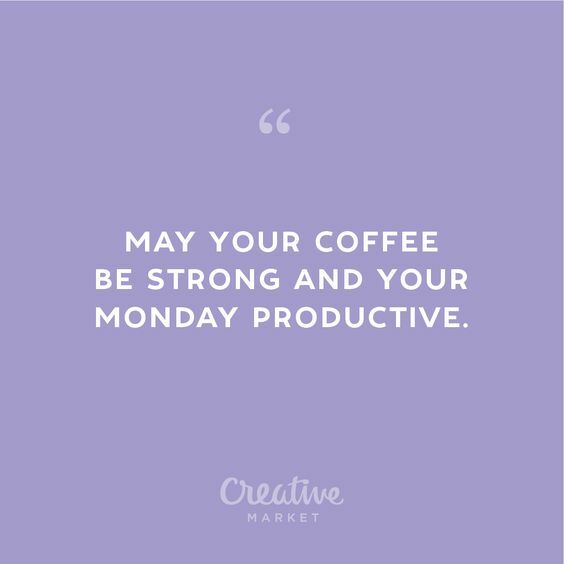 It’s Monday, and that can be super stressful. 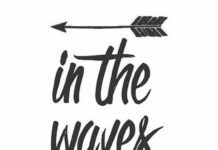 But, it’s important to remember to remain calm when life throws distractions and unexpected things your way. 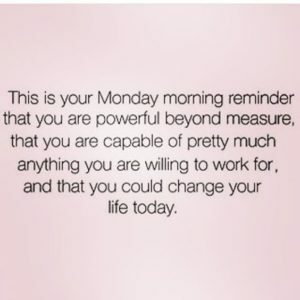 You can make it through! Mondays are the perfect time to set new goals and really go toward your dreams! 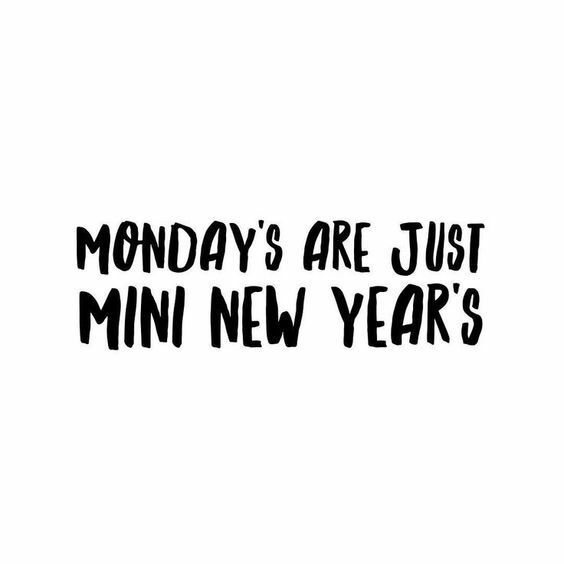 So, treat each Monday like a mini New Year and you will see your productivity level improve drastically. 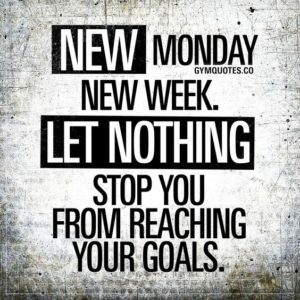 You should be making goals every single week. 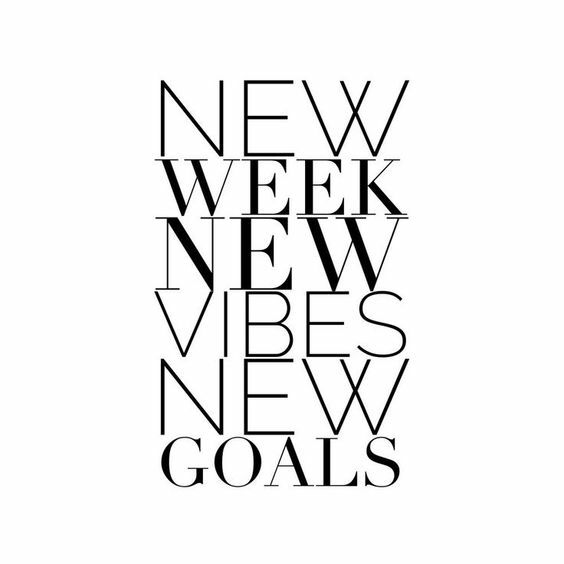 Old goals should be coming to a close and new goals should be started. 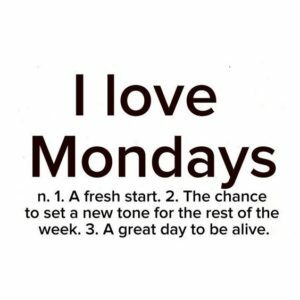 Improvement and ambition every Monday is what will make your week the best it can be. 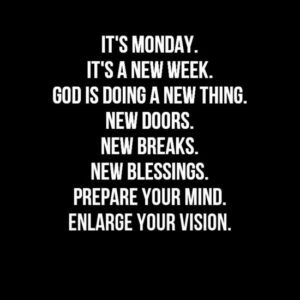 Monday is a time to refocus. 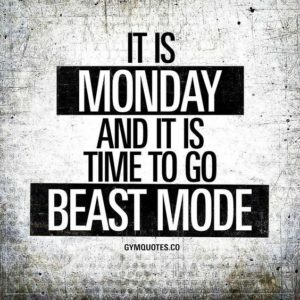 It is a time to prepare yourself for the goals you have set and to start working at them with all your might. 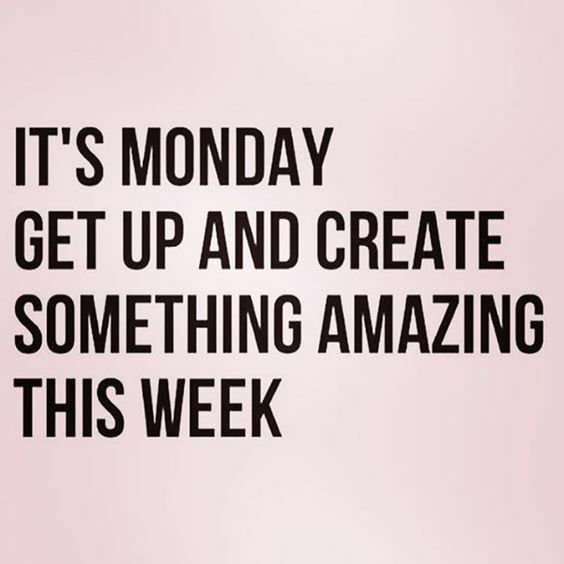 Don’t let your Monday go to waste! 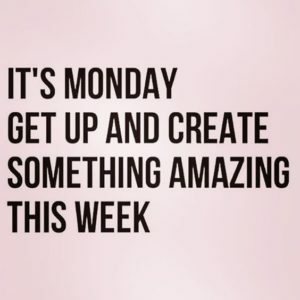 Mondays are the ideal time to create something amazing! 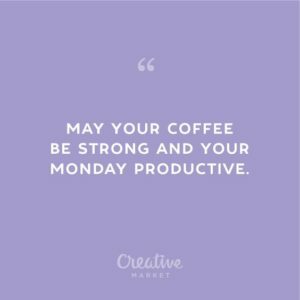 You are well-rested from the weekend and your brain is on fire thinking of all the creative things you could do! Use that energy and explore! Hopefully, you have a job that you love. 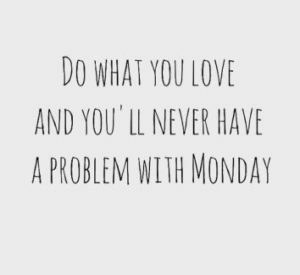 If you do, you will never work a day in your life. 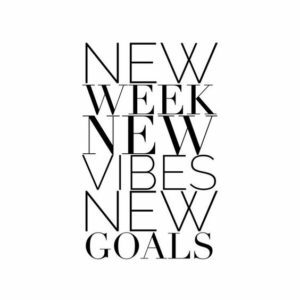 Find something that sets your soul on fire and work toward that every day. Don’t be dragged down by the talk of the Monday blues. 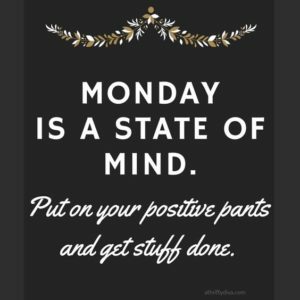 Turn Monday into the best day of the week by putting on your positive pants and getting to work on something you love! 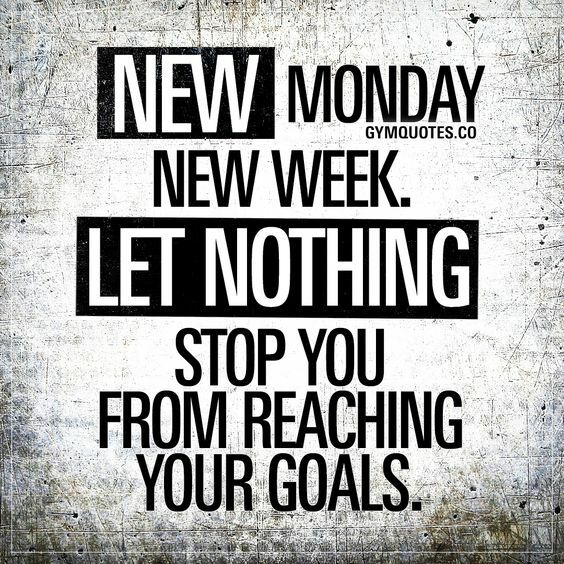 Nothing should stop you from reaching your goals. 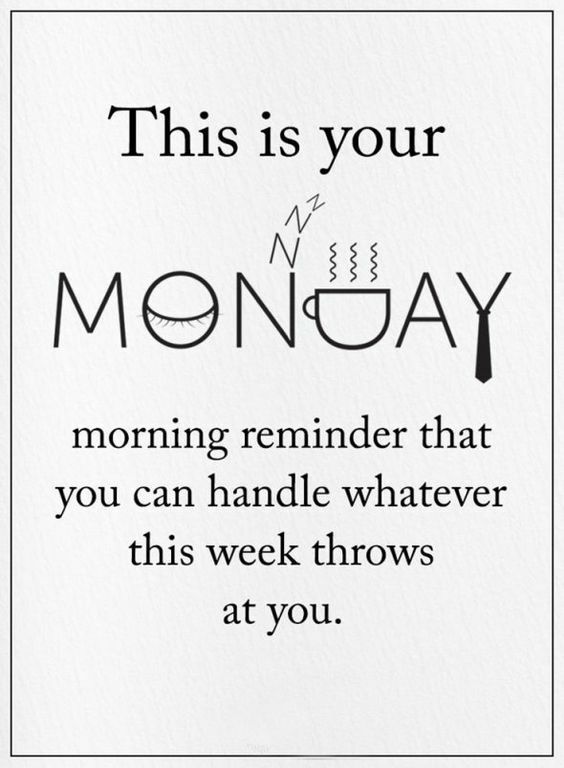 And, if you have the power of Monday behind you, you can make anything happen. 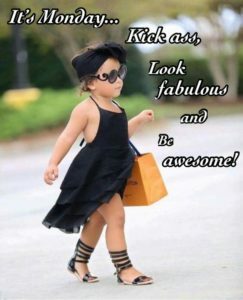 So, keep moving forward and never give up! 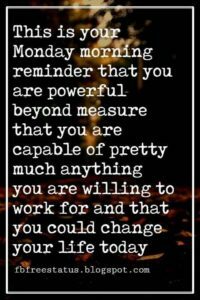 Mondays are often criticized. 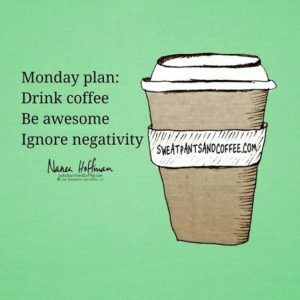 But, really, they have so many positives! 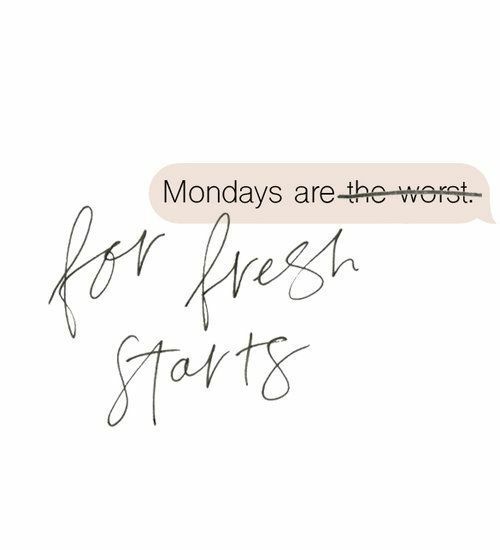 It is the perfect time for a fresh start. 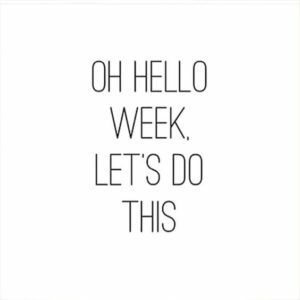 You can make this week great. All you have to do is stay positive throughout your Monday! 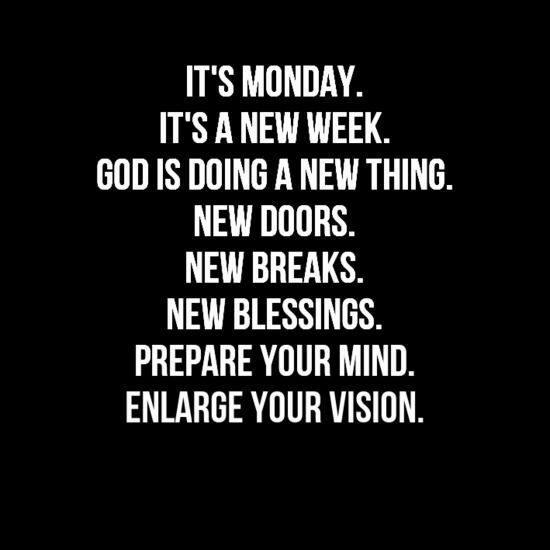 Think of Monday as a new day; as the beginning of a new week. It is the time to seek out opportunities and create a life that you want to live. 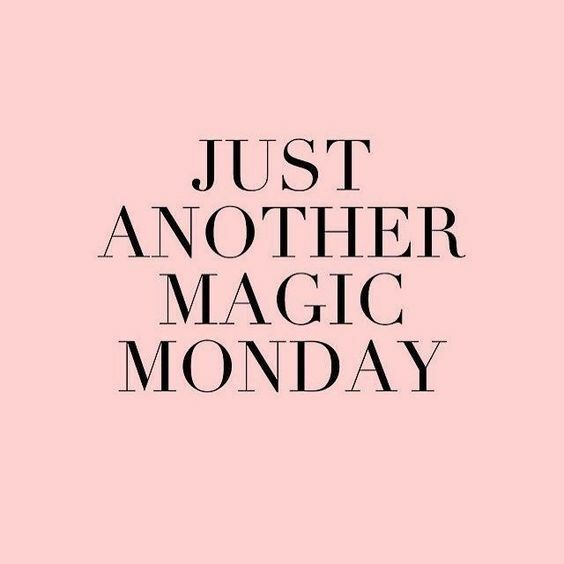 Learn to find the magic in every Monday. 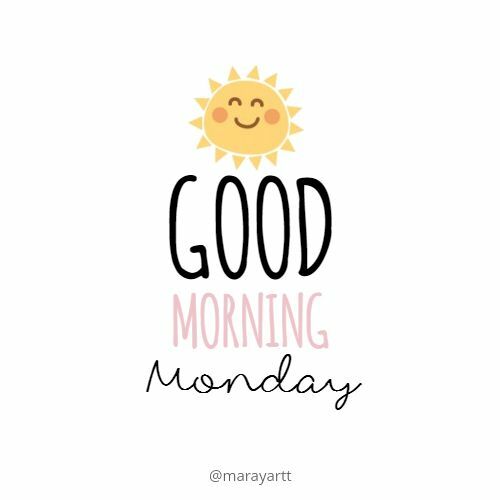 Everyone says Mondays are the worst. 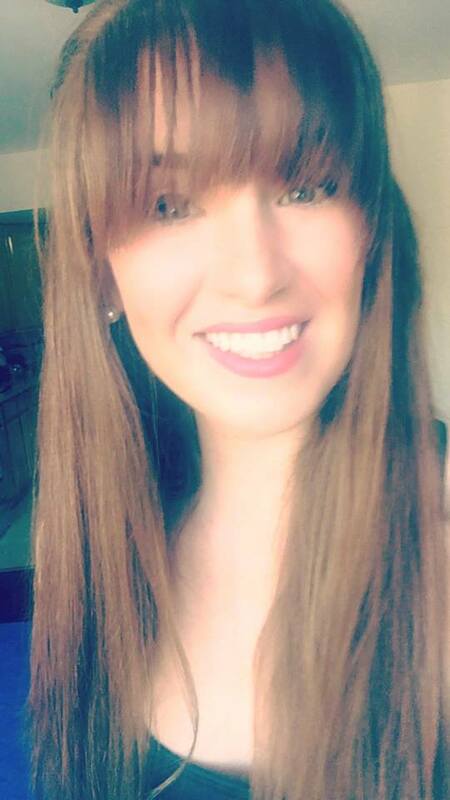 But, maybe that’s just for the people who don’t know what they want in life. If you are a go-getter, you will love the fresh start that Mondays give. 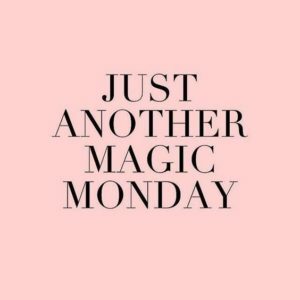 Mondays are no longer manic, they are magic. 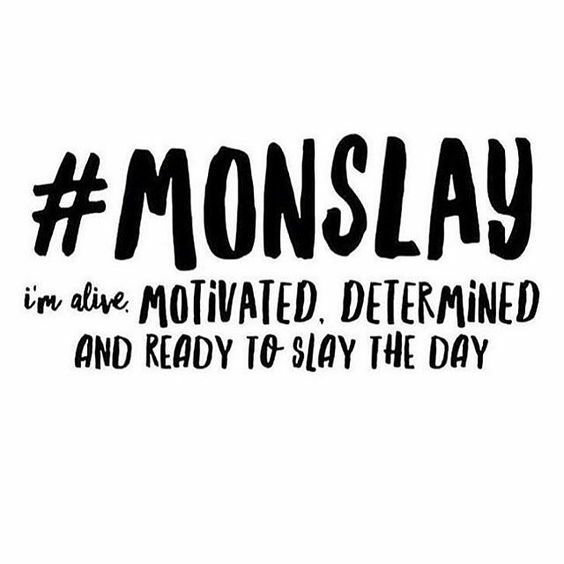 So, turn that magical Monday into something unforgettable by working hard at everything you do and making steps toward your dreams. 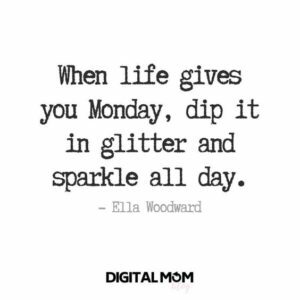 Monday is just a gift from the universe. 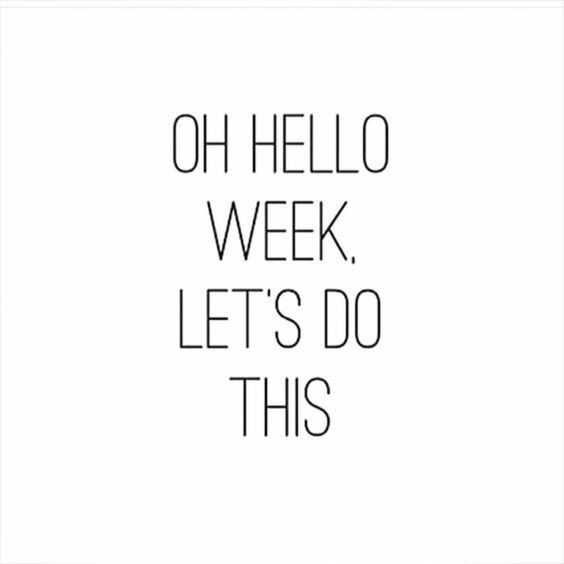 It is the start of the week and the start of making your dreams a reality. 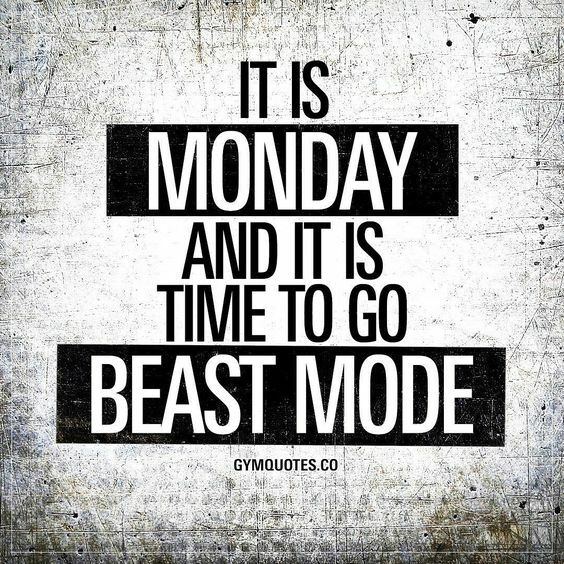 Don’t get bogged down by the negative Monday thoughts, stay positive and work hard! 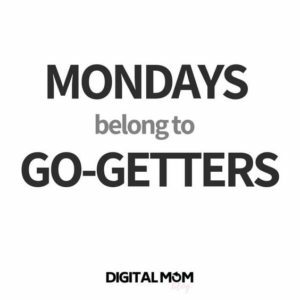 It’s Monday, so what’s on your to-do list? Making your dreams happen, of course! 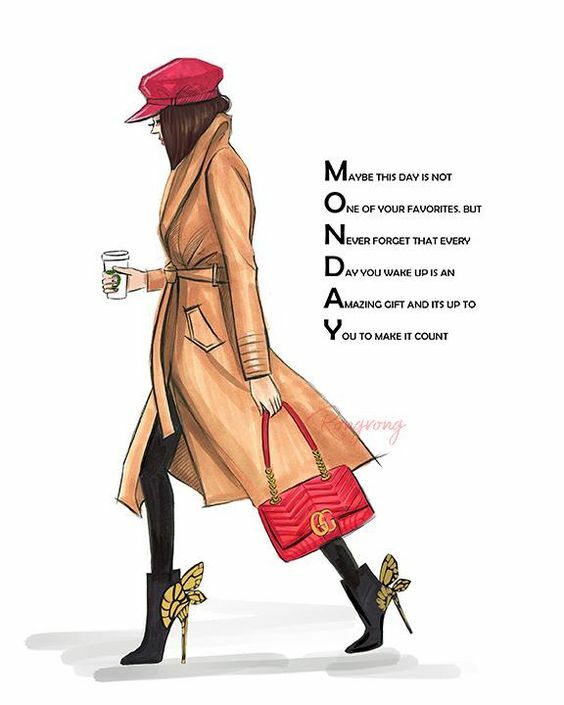 Wake up this Monday with a strong coffee, some bright heels, and the determination to make it happen. 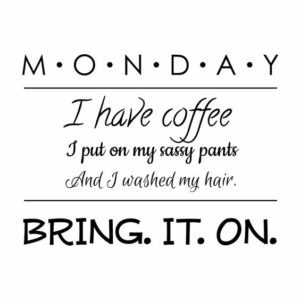 Don’t be scared of your Monday. 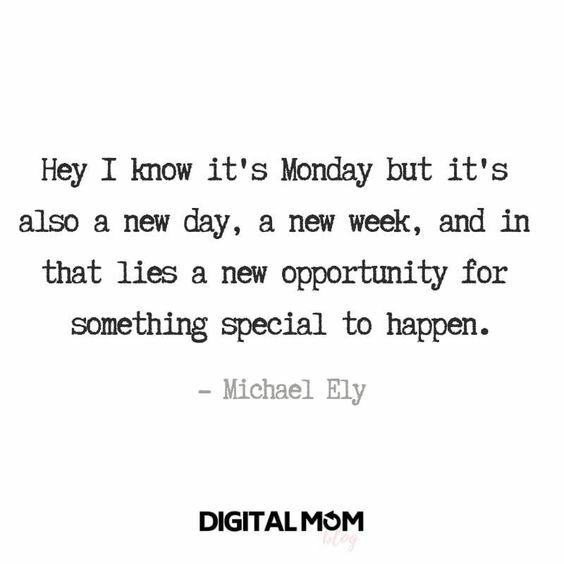 Instead, greet Monday like a familiar friend. I mean, really, you see each other every week! Learn to get along. 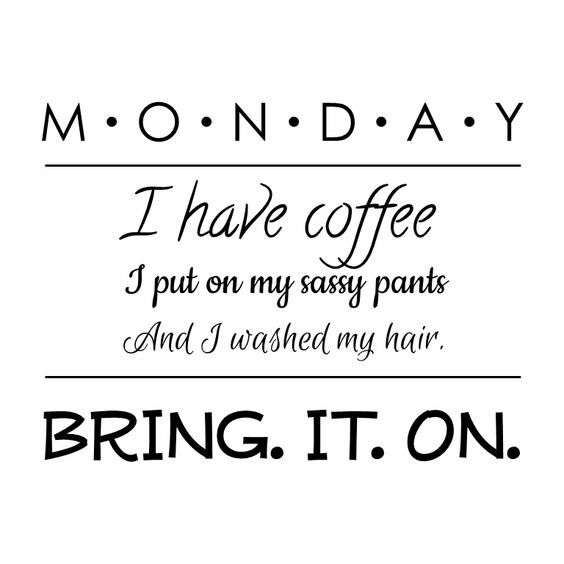 Mondays really seem to get a bad rep. But, there is no reason why they should. 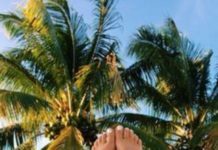 Sure, they might be the end to an amazingly memorable weekend of relaxation, partying, or whatever! 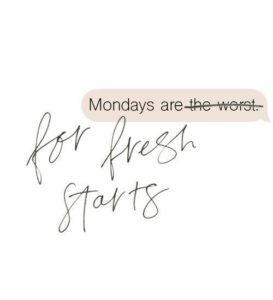 But, they are also the perfect time for a fresh start. 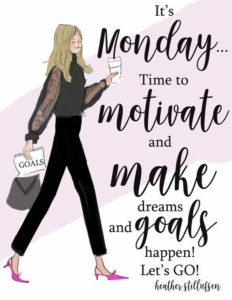 A perfect time to get inspired and motivated to go after your dreams. And, the perfect time to improve the quality of your life! 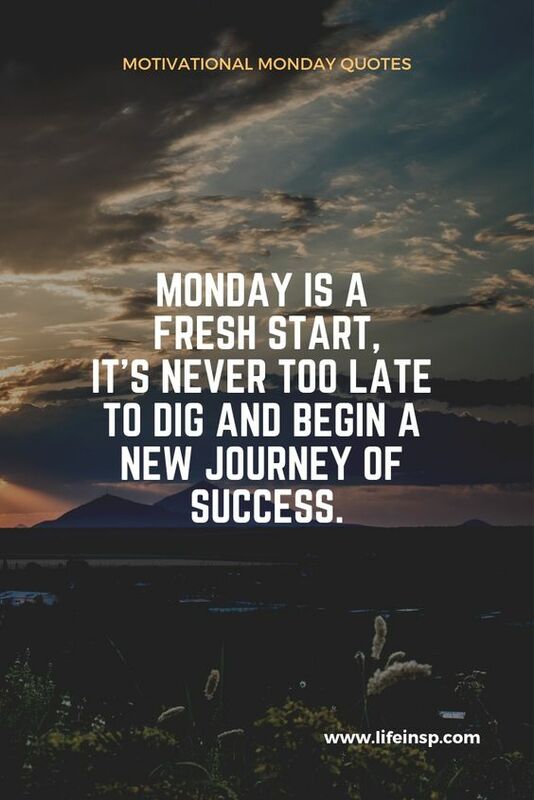 These motivational Monday quotes are the perfect way to get you inspired to reach your goals. 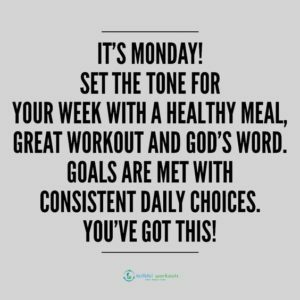 Whether your goal is to be a professional painter and have your paintings sell for billions at auctions or if you just really want to drop 10lbs by May by hitting the gym and eating healthy, these quotes will keep you motivated and driven. In order to get the most out of these quotes, keep them in a place where you can see them. 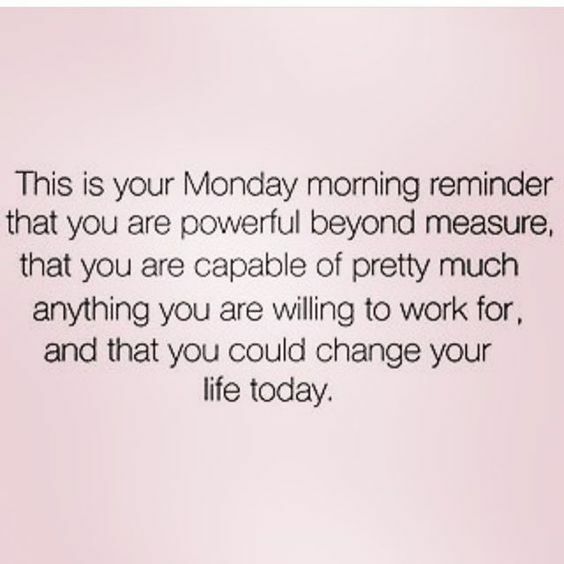 Maybe write them on post-its and stick them to your mirror so you can be reminded that every Monday is a gift. 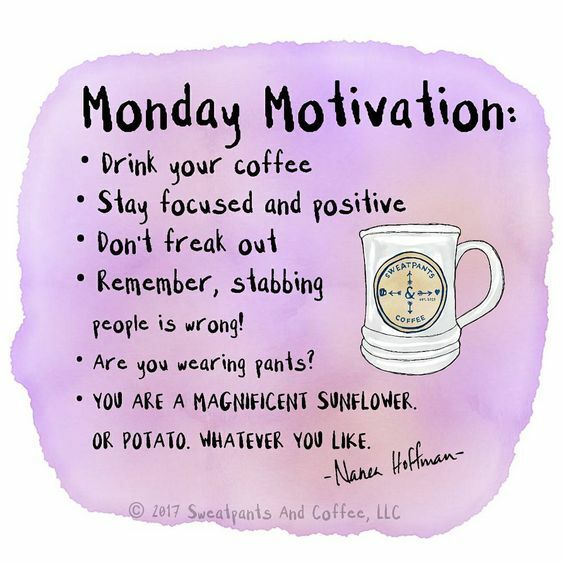 Or, maybe put them on your phone as a reminder so that every Monday a quote will pop up that will help get you through the day. 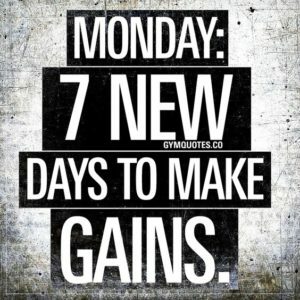 Whatever works for your lifestyle! 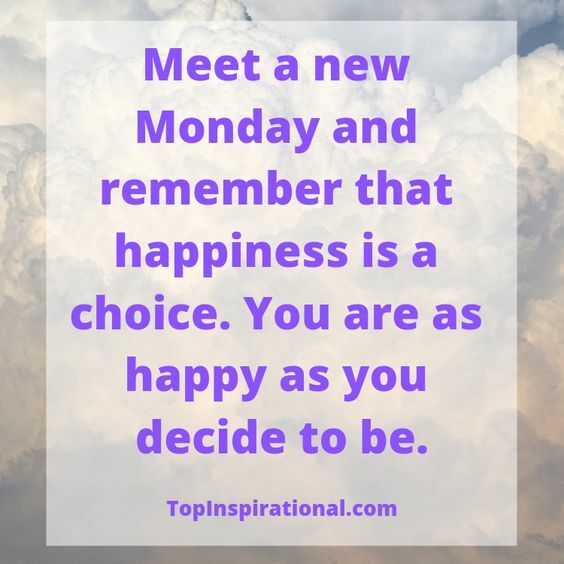 The most important thing though is to pick the quotes that resonate with you, so that you can learn to get the most out of your Mondays and start to think of them in a positive light instead of a negative one!